Following my recent post, I have to do a separate post for my new squeeze. 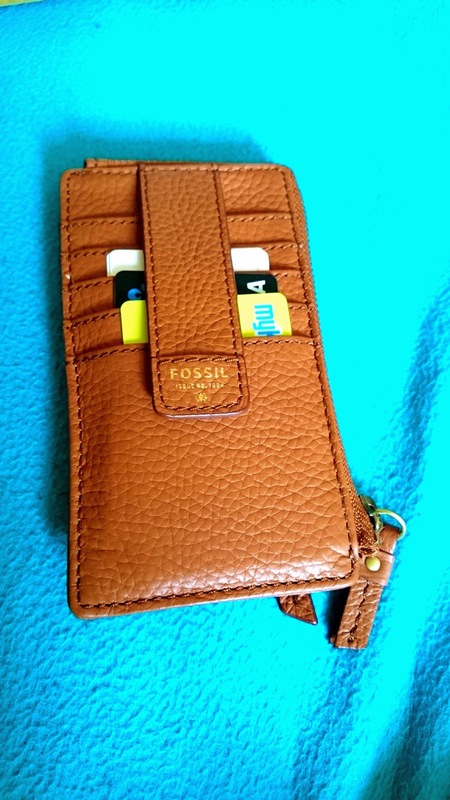 This ultra chic tan brown wallet from Fossil gave me the urge to just go with it and don’t ever think thrice. I lost my wallet few months ago and my cards are just scrambling around my bag so I really need a new one. It is really hard to search for your cards scattered in your bag like when purchasing something I think the register need to give me 3 minutes to frantically search for the damn card. Not a good scenario. So when I saw this, I thought I really need it. It has this simple design but means business look. 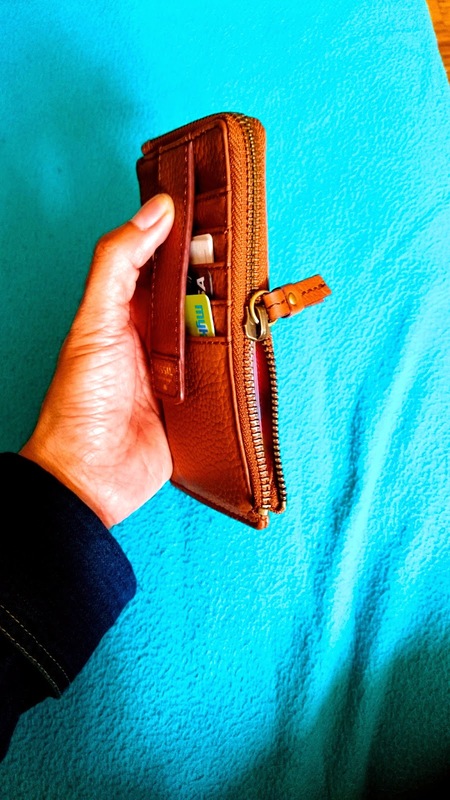 It is not bulky unlike other wallets that I have owned before. 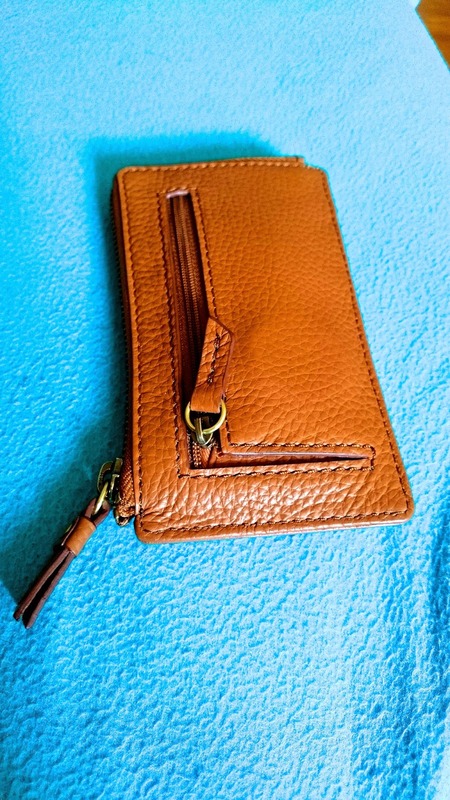 There is a designated card holder, a coin purse at the back and a zipped storage for your mobile phone( which I won’t be using as that because my phone is a bit large for it). Really sleek and just with pure functionality. Got this for AUD 40 which originally is 60 bucks but it was on sale. I know it is not the best buy out there but I always have this motto in shopping that when you saw something that you really need and you have enough money, then go for it because next time it might be on other’s hand already when you see it on the streets. And you like wanna just die in regret for not buying it! EXCUSES. EXCUSES. HAHAHA. I really really love it! It is just perfect for me! Turn Down For What Tim Gunn?